Stained Glass Earrings created using a streaky lime green glass with streaks running through it. Then it is cut into a circle, edged in copper foil and soldered with generous layers of lead free solder. Two large O rings were added to make them dance and sway as you walk. They have been given a dark patina to give them a look of antique pewter, then waxed with jewellers wax and polished to a shine. 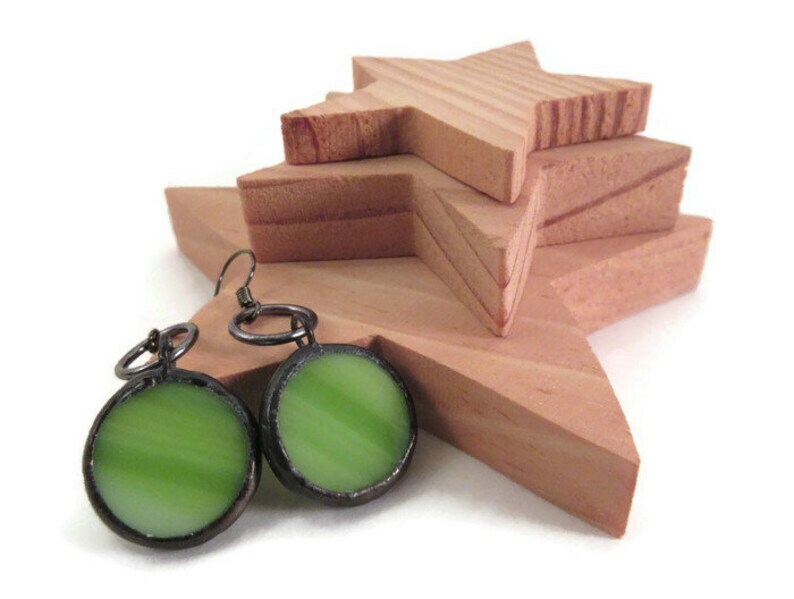 These pretty lime green earrings come packaged in a small fleece gift bag that is ready for gift giving or safe keeping.